The township of Soweto is the largest population of any city in South Africa. Soweto ( which stands for South west township) has now become a popular tourist attraction since the end of apartheid in South Africa. 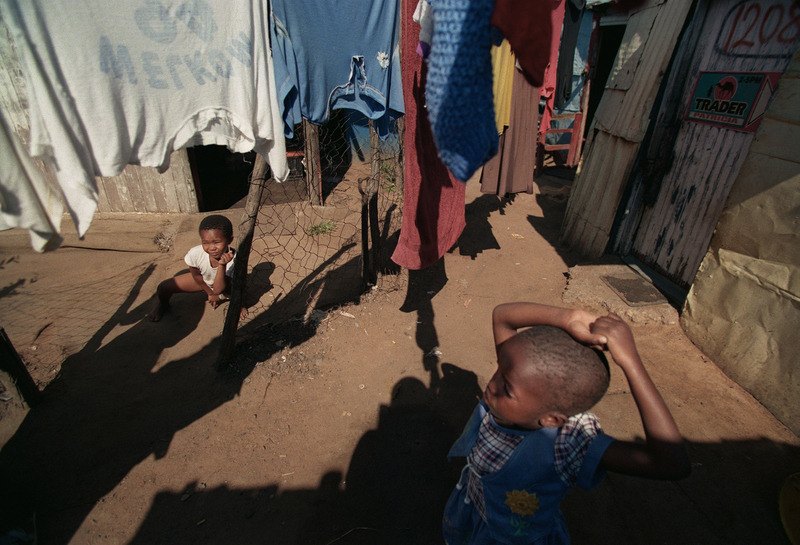 A scene od laundry and children from one of the small narrow alleyways in the Mandelaville squatter camp. The small shacks have no water or electricity. Photo taken 3/26/99.